HomeCricketCan Holder and Roach’s return lift flat West Indies? Can Holder and Roach’s return lift flat West Indies? After Edgbaston, there was Headingley. After Abu Dhabi, there was Sharjah. 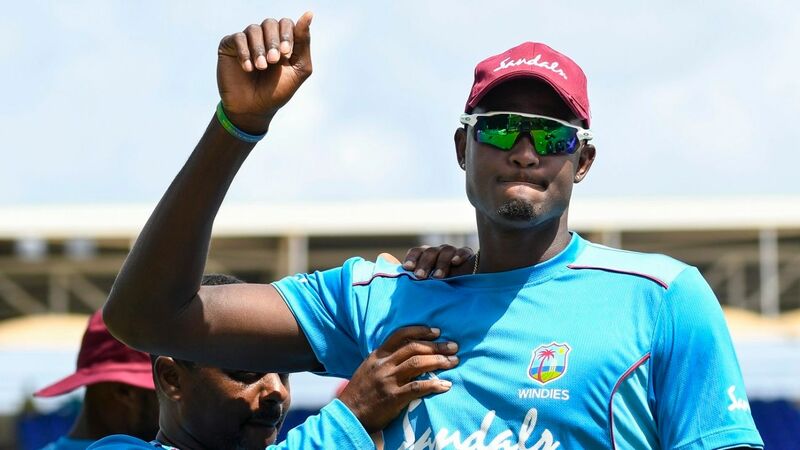 On away tours over the last two years, West Indies have suffered major setbacks, but at least on these two occasions they have shown they can bounce back. While even the most optimistic of the West Indies supporters won’t be expecting such a turnaround, what they will want is a closer contest than the three-day squash in Rajkot. And this West Indies side has shown they are capable of that. Expect Rajkot-like conditions in Hyderabad: good for batting to begin with, and turn and uneven bounce from third day onwards. There will be some respite from the 40-degrees heat of Rajkot, with highs of mid-30s expected during the match. West Indies’ last three Tests in India have lasted a total of nine days and 720.5 overs. All three have been innings defeats.